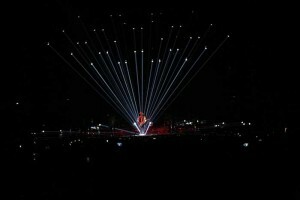 Singer-songwriter Bruno Mars has been getting rave reviews for his Moonshine Jungle Tour, which will continue to play dates around the world through March 2014. The tour is accompanied by Clay Paky Sharpy and Sharpy Wash fixtures. 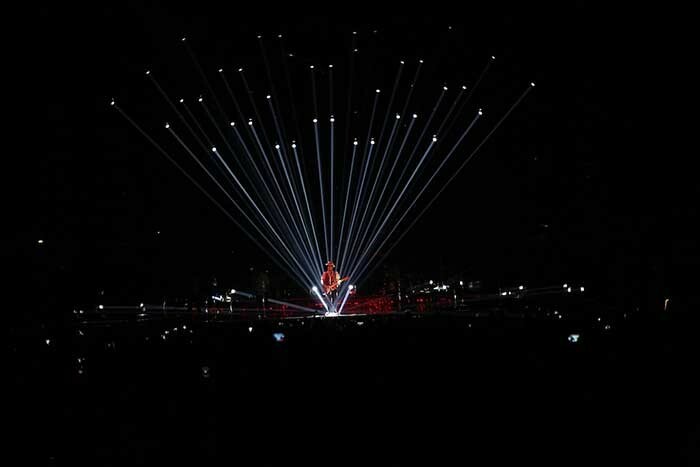 “We were tasked with creating a world for Bruno and his band to inhabit,” says lighting designer Cory FitzGerald who co-designed the tour with Roy Bennett. “Bruno has a lot of sounds and pushes past a lot of genres, so he needed an environment that would accommodate all his music. The lighting fixtures help a lot with that. 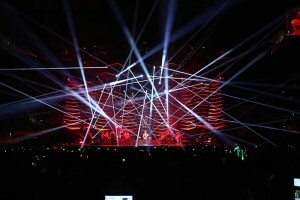 We have 42 Sharpy Washes and about 80 Sharpy beams and we’re very happy with the rig.” VER supplied the tour’s gear. The versatile Sharpy Washes are “used for everything,” he says. “They’re the main wash for the show, and we have 36 overhead and six on the floor. We built a ceiling, and the Sharpy Washes are so small that they can be recessed in it and still shoot through. 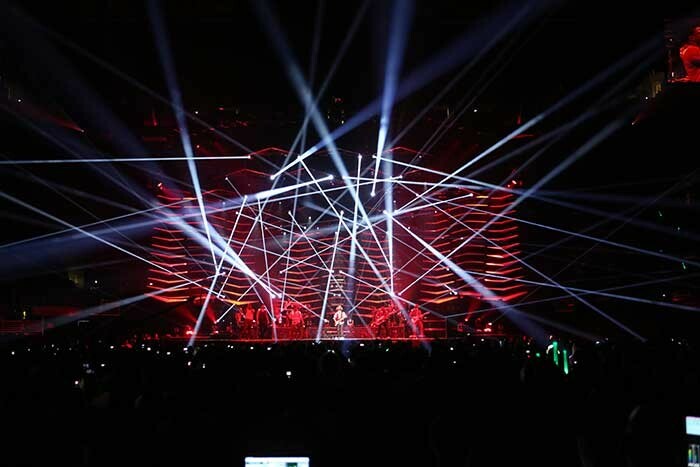 Dave Marcucci is the touring lighting director for the Moonshine Jungle Tour.